Technology is bringing some closure 72 years later. The USS Indianapolis played an important role in WWII history, including the delivery of parts for the atomic bombs that would eventually drop on Japan. 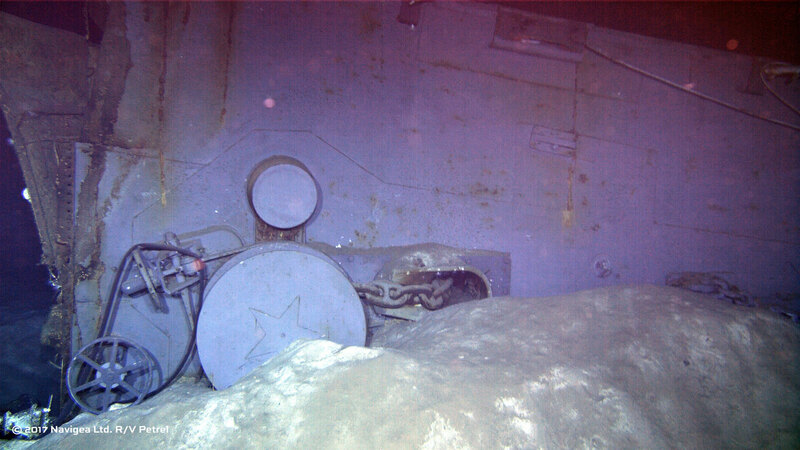 However, it met a grim fate: not only did a Japanese submarine sink it near the end of the war, but its wreck has remained elusive despite multiple expeditions over the past 72 years. Technology just provided some resolution, though. A team piloting Microsoft co-founder Paul Allen's research vessel, the R/V Petrel, has found the wreck of the Indianapolis at the bottom of the Philippine Sea. The discovery was helped by a mix of better information and the equipment aboard the Petrel itself. Historian Dr. Richard Hulver had determined that the Indianapolis final resting place was west of the presumed original position. Confirming his belief, however, required some special hardware. The Petrel relied on an autonomous underwater vehicle (the Hydroid Remus 6000 above) that could dive roughly 18,000 feet below the water and hunt about 600 square miles using sonar and bathymetry. Once it found something, the team used another remotely operated vehicle (the BXL 79) to swoop in and capture the AUV's findings on video. Suffice it to say that the depth alone would be impractical for a manned vehicle. There's still a lot of work to be done. The Petrel will spend weeks surveying the wreck, and there are plans underway to honor the crew, including the 22 people alive today. Even so, the mere act of finding the ship accomplishes a lot. It ends a mystery for the survivors and their families. Also, it's a textbook example of what's possible with modern sea exploration tech. This isn't Allen's first big expedition (it previously found the wreck of Japan's Musashi and the bell of the HMS Hood), but it suggests that solving additional mysteries is really just a matter of time and effort.